Over the last few years, we’ve talked a lot about how membership organizations can use LinkedIn. We’ve also demonstrated the power of LinkedIn recommendations – in fact, we currently showcase these recommendations on our website’s home page! They are “retiring” the products and services page, along with all of your recommendations! So what does this mean for you and your organization? 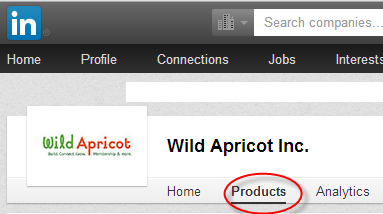 Your Products & Services tab will be removed on April 14, 2014. Until then, you can edit existing products and services, but the ability to add new products and services will no longer be supported. If you're a Company Page admin, you can save recommendations by copying them from the tab into your own document. You can also request a copy of the recommendations that were present as of March 4, 2014. The recommendations will be available through Customer Support until Friday, May 30, 2014. Note: If you want to use the recommendations in promotional or marketing materials you'll need to get permission from the individual who made the recommendation. Showcase Pages allow you to extend your Company Page presence by creating a dedicated page for prominent products and services. A Showcase Page should be used for building long-term relationships with members who want to follow specific aspects of your business, and not for short-term marketing campaigns. Company Updates are key to building relationships with your page followers. When your followers engage with your updates, it spreads your message to their networks and provides you even greater reach. Updates can be seen by your followers not just on your Company Page, but also on their newsfeed (across all devices including mobile). What are your plans? How will you replace your products & services content? And how will you capture and feature recommendations going forward?